Spice up your light with the new asymmetrical 300W LED cyclight from Robert Juliat, designed in partnership with Laser Imagineering! 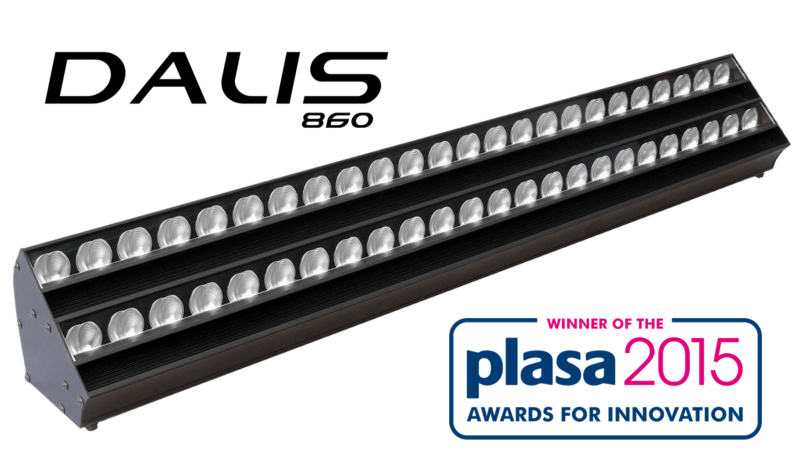 Created to deliver powerful, smooth coverage and a huge variety of pastel and saturated colours, Dalis incorporates eight coloured LED emitters (red, green, blue, royal blue, amber, cyan, warm white 2200K and cool white 6500K). The choice of these six colours in association with the two whites gives access to an extremely wide colour gamut. In addition, the white emitters facilitate colour desaturation, resulting in an impressive range of pastel tones. 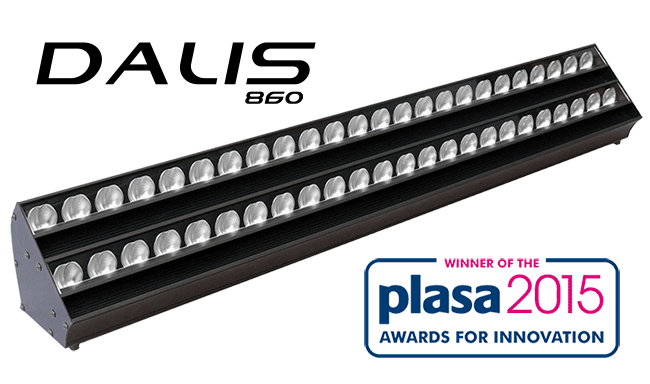 Additionally, four groups of LED emitters can also be controlled independently by 16 bit on each color in the batten, thus providing a subtle and clever mix of colours with smooth transitions and fades. Equipped with an advanced fanless cooling system, Dalis offers silent operation which is perfect for sound sensitive applications like opera houses and studios, and all theatrical, TV and entertainment applications.